Evan M. Packer, MD, is one of Palm Beach County’s most respected neurosurgeons with a comprehensive practice in brain and spinal surgery. A board-certified specialist, Dr. Packer regularly diagnoses and treats a wide range of neurological conditions, including brain, neck and spinal injuries; brain tumors; brain hemorrhages; spinal stenosis; disc bulges and herniations; neck and back pain; spinal compression fractures; sciatica; and other disorders related to the nervous system. A managing partner at the Brain and Spine Center, Dr. Packer has extensive clinical training and experience in the latest treatments for trauma and elective surgical patients. Known for his thorough care and deep compassion, he takes the extra time to discuss complex procedures with patients and their families, determine the best treatment, and manage follow-up care and the rehabilitation process. In addition to his office practice, Dr. Packer treats patients and covers trauma cases at Delray Medical Center and performs elective surgery cases at Boca Raton Regional Hospital, with full privileges at the new Marcus Neuroscience Institute. 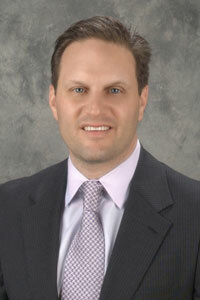 He has held numerous leadership positions on the Medical Executive Committee at Boca Raton Regional Hospital. Admired throughout South Florida for his clinical expertise, Dr. Packer is a Diplomate of the American Board of Neurological Surgery, a Fellow of the American College of Surgeons, and affiliate assistant professor at the Charles E. Schmidt College of Medicine at Florida Atlantic University. Dr. Packer has contributed to the “Textbook of Neurological Surgery,” and presented extensively to other physicians on minimally invasive spine surgery, treatment of brain tumors and many other topics. He is an active member of the American Association of Neurological Surgeons, the Congress of Neurological Surgeons and the North American Spine Society. In addition, Dr. Packer regularly attends national meetings and symposiums focused on the latest techniques for treating complex disorders of the brain and spine. A native of New York, Dr. Packer earned his bachelor’s degree with honors from the University of Michigan and his medical degree from the University of South Florida’s College of Medicine. As a result of his high academic achievement, he was elected to the prestigious medical school honor society Alpha Omega Alpha. Dr. Packer completed his internship in surgery and his residency in neurological surgery at University of South Florida Affiliated Hospitals and Clinics in Tampa. He also received advanced training in neurosurgical oncology at Moffitt Comprehensive Cancer Center and Research Institute in Tampa. Physicians from the Brain and Spine Center South Florida provide patient-centered care, offering both conservative and surgical management of a variety of neurologic disorders of the brain and spine. Address – 4800 Linton Blvd.